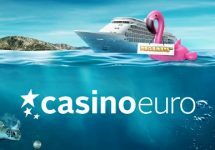 Casino Euro – January Money Maker! 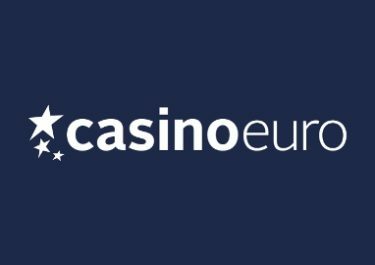 Win up to €2,000 in cash and up to 135 Free Spins! Start the new year with a “bang” at Casino Euro and get your hands on a share of €10,000 in cash when you play Piggy Riches and The Legend of Shangri-La: Cluster Pays™ in the first week of January 2018. Earn tickets to the prize draw by wagering on the games to secure your chance to be one of 500 lucky winner. Plus. up to 100 guaranteed Free Spins will be awarded to all players collecting minimum 20 tickets. Play some of the hottest Netent slots in the first week of January 2018 at Casino Euro to earn your tickets to the €10,000 January Money Maker Prize Draw where 500 lucky players will walk away with cash prizes. Plus, get awarded with guaranteed Free Spins if you collect minimum 20 tickets. This is a Netent network wide promotion and winners can be from any of the participating casinos. Earn one ticket to the raffle for every €5.00 wagered with cash bets on Piggy Riches and The Legend of Shangri-La: Cluster Pays™. Maximum 50 tickets per day per player. 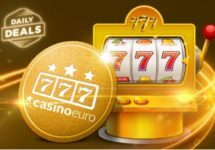 On 8th January 2018 Netent will randomly draw 500 tickets and allocate the prizes in order they are drawn: 1x €2,000 | 1x €300 | 1x €200 | 496x €15, all credited in cash by 17:00 CET on 9th January 2018. All players collecting 20 | 50 | 100 tickets will be awarded with 10 Free Spins on Finn and the Swirly Spin™ | + 25 FS on Piggy Riches | + 100 Free Spins on Finn and the Swirly Spin™. Spins are instantly added once the set amount of tickets has been collected. 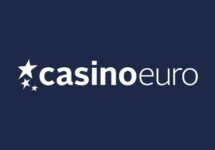 Wagering requirements are 15x FS winnings within five days, subject to the Casino Euro bonus terms and conditions.